To celebrate Canada's Sesquicentennial (or 150 anniversary) we created an exhibit on the last big celebration marking 100 years of Confederation. In 1967 Canada marked 100 years of Confederation, and Edmontonians dove headfirst into the celebrations. Parties were planned and monuments were built. This exhibit explores how the City, Province, and private individuals and organizations all came together to create projects that celebrated the anniversary and Edmonton’s place in Canada. 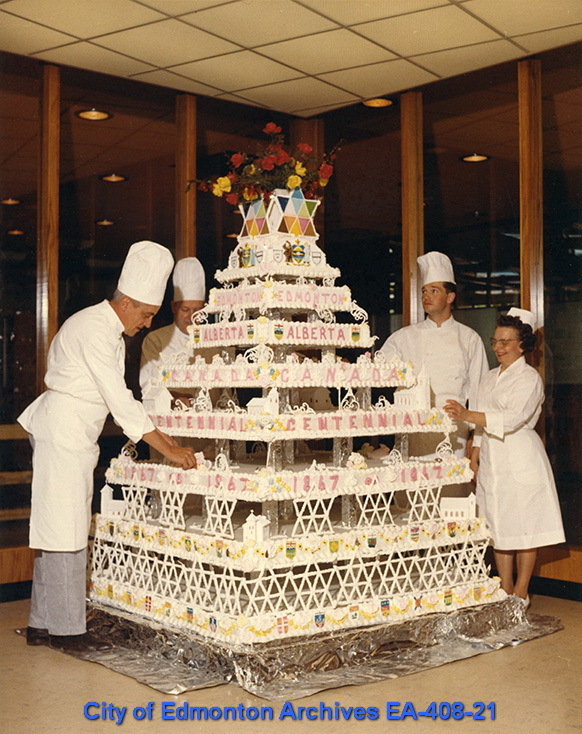 EA-408-21 Canada's Centennial - Birthday Cake July 1, 1967. This masterpiece was created by NAIT's culinary program.